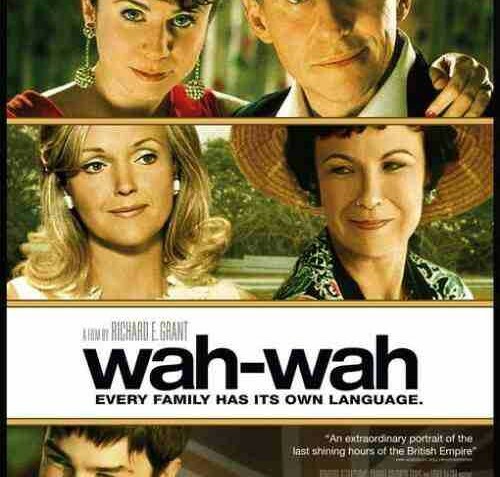 First-time director Richard E. Grant brings to the screen a semi-autobiographical tale of the disintegration of a British colonial family set against the social backdrop of the collapsing British Empire and the visual backdrop of the breath-taking Swaziland countryside. The story is told through the eyes of young Ralph Compton (played by two different actors, Zachary Fox plays Ralph aged 11 and Nicholas Hout as Ralph aged 14). A kind of diplomatic corps Holden Caulfield, Ralph feels himself to be like one of his growing collection of marionette puppets, manipulated by hypocritical, dysfunctional adults and forced to play a role he hates. In the petty and insular society of British Swaziland in the late 1960s, Ralph must cope with alcoholism at home while protecting the open secrets of his deteriorating family life from the judgment of local British high society. His father Harry Compton (Gabriel Byrne), the colony&#146;s Minister of Education, develops an acute drinking problem when cuckolded by his wife Lauren (Miranda Richardson), who runs off with Harry&#146;s best friend John Traherne. Traherne&#146;s abandoned wife, "Auntie" Gwen (Julie Waters, poignant in her role as the Little-British marital cast-off) carries a torch for Harry, hovering protectively around young Ralph, aged 11. When Ralph returns from boarding school, now aged 14, he is confronted with Harry&#146;s new wife, the very Sixties, very American, "former air-hostess," Ruby (Emily Watson). Watson&#146;s Ruby is a breath of fresh air in stuffy imperial Swaziland, seeing through the pretenses. Not as naive as she at first seems, Ruby&#146;s easy-going approach to life belies the difficult changes afoot for everyone, from the Compton hearth to the British Swazi compound to the international social revolution of the Sixties. Ruby loves her new husband, though the film never indicates exactly why. Her newfangled American egalitarian approach scandalizes the veddy British, veddy nineteenth-century social matriarchal iron grip of Lady Riva Hardwick (Celia Imrie). After being blackballed by her ladyship, Ruby deflates the imperial pomp and circumstance, christening it all "wah-wah," parodying the precious baby-talk of the elites&#146; in-group social language. Using Watson&#146;s irresistible likeability and liberated woman&#146;s natural leadership, director Grant sweetly undermines the vanity disguised as social grace and elegance in Celia Imrie&#146;s signature caricature of Lady Hardwick. While Gabriel Byrne&#146;s thoughtful and heartfelt portrayal of a disintegrating alcoholic is at the heart of the film, Harry&#146;s ability to take "anti-alcoholic pills" to suddenly stop his alcoholism seems rather too glib. Such uneven pacing seems a common enough flaw among first-time directors. At times the scenes and dialogue sometimes deteriorate into camp parody. Much of the time, this appears to be Grant&#146;s intention, as a nudge and wink to the audience. But, in spots, Wah-Wah seems to drift unwillingly into Valley of the Dolls territory. Similarly, while the symbolism of Ralph&#146;s obsession with hand puppets conveys a grounded seriousness, the silliness of the outgoing rulers&#146; choice of the Broadway musical Camelot (in honor of a brief visit by Princess Margaret) spills over into maudlin sentimentalism. For an American audience, Camelot calls to mind the lost idealism of the Kennedy presidency. And, even if so intended in Wah-Wah, the film ends on a somewhat unsettled balance between domestic and epic, serious drama and nostalgic recollection&#150;this "semi-autobiography" remains a precariously half-and-half sort of affair.